The Brilliant Companions, a Doctor Who fan club, will meet at the Moline Public Library on Monday, February 2 at 6:30 to discuss season 9 of the Classic Doctor Who featuring Jon Pertwee. The fifth session in our PNG Moviemaking Workshop will explore using computer software to edit films. If interested in attending, please call the library at 309-524-2477 to see if spots are open. The Rock Island Arsenal is the largest government-owned weapons manufacturing arsenal in the United States. In addition to being a National Historic Landmark, the island is home to Colonel Davenport House, the Mississippi River Visitors Center, and the Rock Island Arsenal Museum. Sixteen-year-old Kylie Galen thinks her misbehavior in the wake of her grandmother’s death and her parents’ separation are the reasons she has been sent to Shadow Falls Camp, but learns it is a training ground for vampires, werewolves, and other “freaky freaks,” of which she may be one. Know of something special for teens happening soon in the Quad Cities? Post a comment about it. Two Sisters, deep jealousies, an alluring carnival, and one surreal summer. Skylar thought she was having problems when the little girl she babysits was kidnapped. Then Supergirl Dana her dangerously hot partner in crime show up and things get really weird. Katie’s boyfriend appears is in a photo with another girl, who then ends up missing. Was he cheating? Is he a killer? Thea plays a role-playing game online to escape her overprotective parents. When she falls for Kit and he wants to bring her into his real-life world things turn frightening and dangerous. The beginning of the story of the true roots of the Jedi Order, the Star Wars of 25,000 years ago. Stop by the Teen Corner of the library for TEEN-ucopia. We have a variety of games for Nintendo Wii and Xbox One, board games, and crafts. Make a marshmallow Adipose baby from Doctor Who. Teens and Tweens in grades 5 and up can take part in a Graphic Novel Workshop hosted by the Moline Public Library. This workshop is part of “Project Next Generation: Dream, Design, Deliver,” and will introduce students to the history of cartooning, creating a comic strip, publishing, and more. Sessions will take place on Saturdays from 9:00 a.m.to 12:30 p.m. starting January 24 and concluding April 11. Attendance at all sessions is recommended. This program is free and no experience is necessary, but space is limited and registration is required. Bus passes will be available to registered participants. 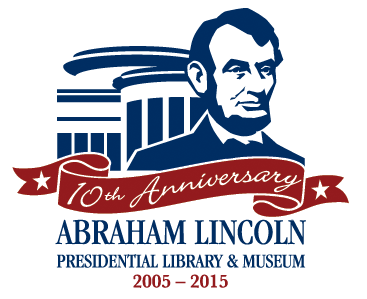 The Abraham Lincoln Presidential Library and Museum is sponsoring an art contest for children and teens. You can submit an original piece of 2 dimensional artwork by January 30 to help promote the 10th anniversary of the Abraham Lincoln Presidential Library and Museum. Be a part of history! Rules and entry form are available HERE.